The Junior Golf Alliance of Colorado tournament season started, appropriately enough, on Masters Sunday — and a very memorable one at that. On the same day Tiger Woods won a major championship for the first time since 2008, TJ Shehee of Mead and Meghan Vogt of Broomfield claimed the titles in the JGAC Tour event at Walking Stick Golf Course in Pueblo. A Series tournament for juniors of all ages also was held Sunday, at Desert Hawk at Pueblo West. 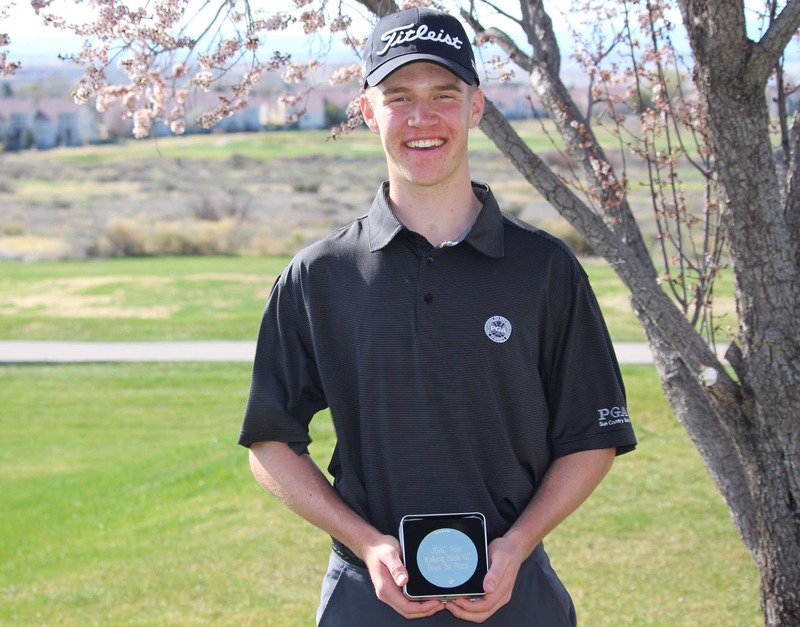 Division winners at Desert Hawk included Tyler Eddy of Littleton (boys 14-18 with a 73), Hadley Ashton of Erie (girls 14-18 with a 78), Austin Barry of Fort Collins (boys 11-13 with a 73), Ashleigh Wilson of Highlands Ranch (girls 11-13 with a 78), Collen Todd of Golden (boys 10 and under with a 34 for nine holes) and Brynn Balliet of Thornton (girls 10 and under with a 40 for nine holes). At both sites, the events were shortened to one-day affairs due to weather issues on Saturday. Shehee (above) and Ben Daane of Rapid City, S.D., both shot 2-under-par 70s to tie in regulation in the boys tournament at Walking Stick. Then Shehee, who has signed to play his college golf at the University of Northern Colorado, prevailed on the first hole of a playoff as he made a par there to Daane’s bogey. Jackson Klutznick of Denver, the 2018 3A boys state high school champion and winner of the 2018 JGAC Tour Championship, also broke par on Sunday, shooting a 71 to place third. In regulation, Shehee carded an eagle on the par-5 15th and also made three birdies and three bogeys. Daane chalked up seven birdies and five bogeys, but playing the last three holes in 2 over par. 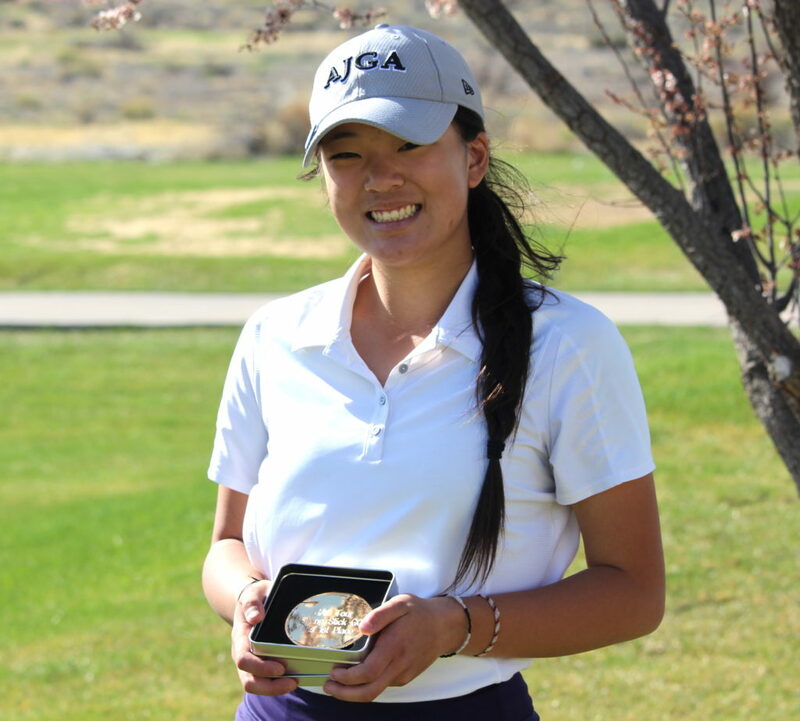 Vogt, who competed in last year’s U.S. Girls’ Junior, shot a 2-over-par 74 at Walking Stick to win by one over Hailey Schalk of Erie, the 2017 JGAC Girls Player of the Year, and Sofia Choi of Littleton. Like Shehee, Vogt eagled the par-5 15th hole (her sixth of the day) and also made two birdies, three bogeys and a triple bogey. For all the scores, click on the following: WALKING STICK; DESERT HAWK.